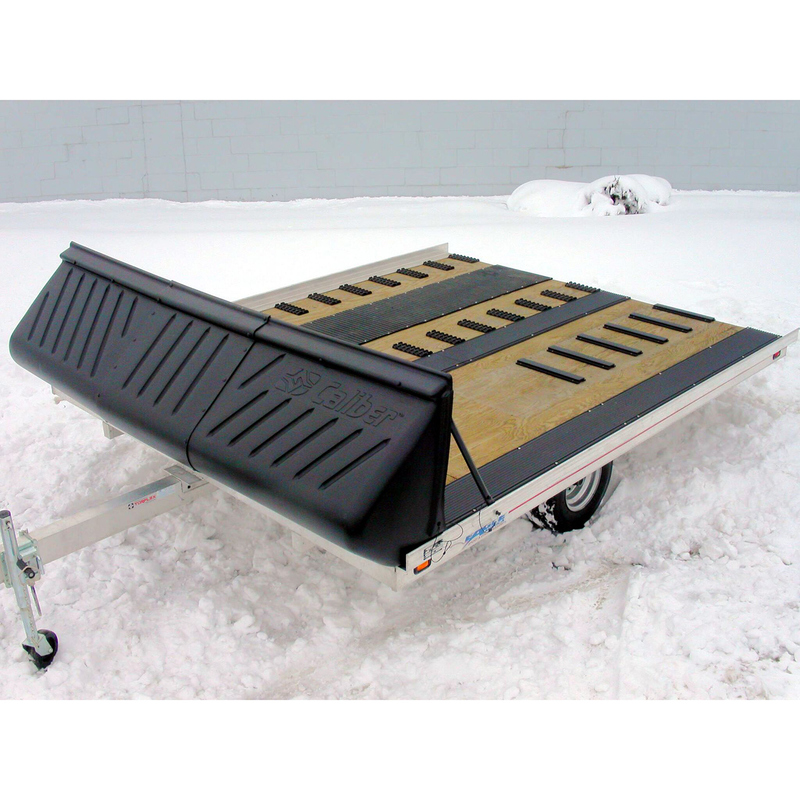 Triton Tilt bed Salt shields are great for any brand trailer fitting up to 8.5' Wide. Starting price at $250 Perfect for protecting your ATV, UTV or Sled. You can install yourself or we can do it in as little as 30 minutes. Triton #06942 DOS drive off salt shield for your V-front trailer used for easy drive-off unloading and also acts as a salt shield while pinned in the UP position. Rubber mounted side brackets make for a rattle free, solid shield while transporting. $399 includes hardware for installation. 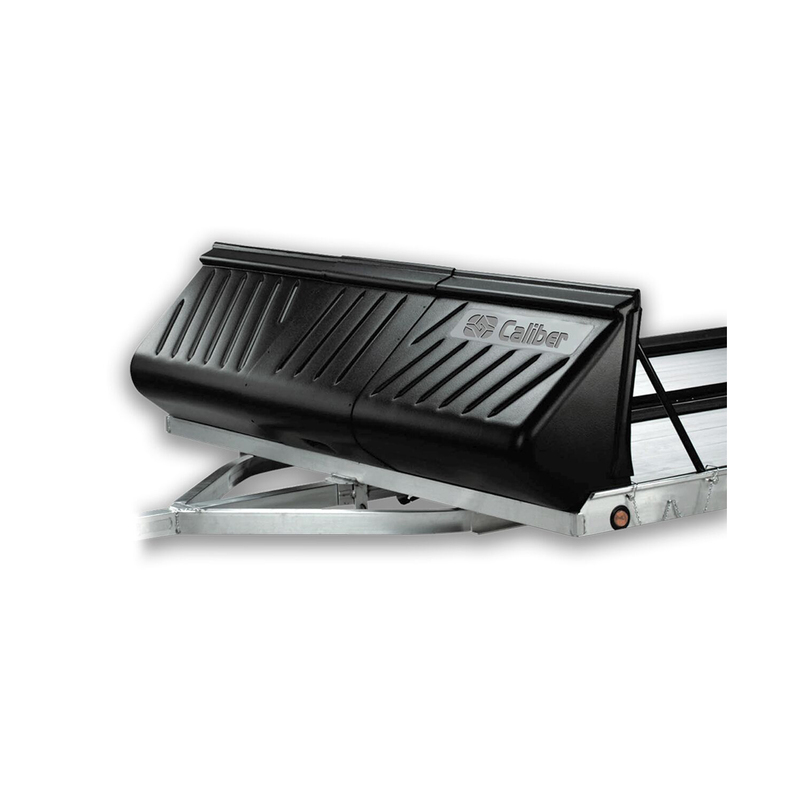 The V-Front Ramp Salt Shield features a design that will fit most trailers and its aerodynamic design helps you get better gas mileage. This salt shield Includes the LowPro GripGlides which, when installed on the ramp, makes unloading your snowmobile or ATV quick and easy. Includes all hardware for installation. The Caliber Poly Shield III is designed to be resilient and adaptable. The Quick-Detach kit can be used on V-Front drive-on, drive-off trailers. This shield is built to last. It will not crack, split, dent or shatter. It is also great at protecting what you’re hauling from road spray that can damage your cargo. $249.95, includes all hardware for installation. 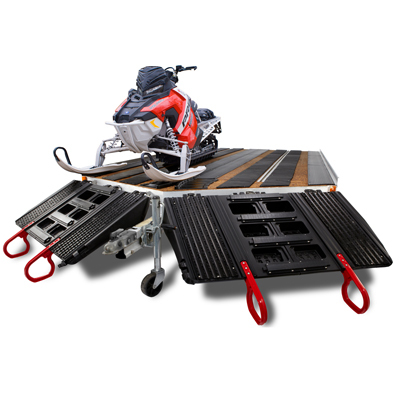 The Floe Ramp Shield is Floe's multi-purpose solution that provides the ultimate in protection and convenience. It's engineered to eliminate the center gap common with other folding shields and made of a rugged extruded aluminum design and has impact resistant plastic sheeting for a practical drive off surface. The Floe Ramp Shield sells for $650 with all stainless fasteners for installation. 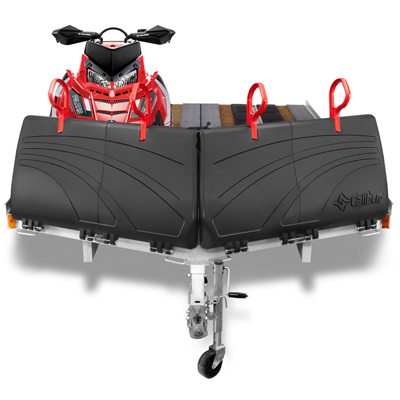 Aluma drive off salt shields are designed for easy unloading of your sleds and ATV's off the front of your V-front Aluma trailer, while acting as a salt shield when pinned up. $595, includes hardware for installation.